As someone active in the maker community, I’m asked these questions (and questions like them) quite often. 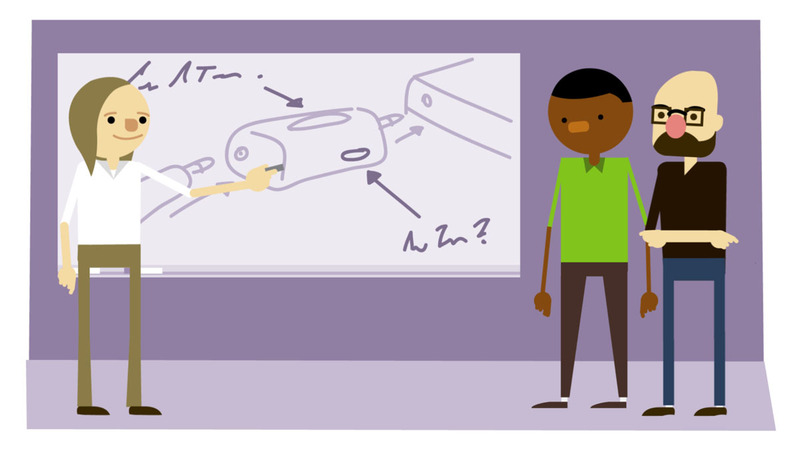 Makers are naturally curious and think about the future, including their career. Often, I point makers to personality & skills assessments that I’ve found valuable in the past. These assessments can help someone determine their strengths and personality characteristics. Armed with that knowledge (and a little introspection!) a maker can chart the best course for their development. I’ve often wished that there was an assessment designed for makers. Such a tool would help makers understand their strengths in areas like idea generation and execution – and let makers see if they are wired more like entrepreneurs or corporate managers. Since such a tool didn’t exist, I decided to form a team to make one – the Maker Personality and Skills Assessment! The Maker Personality and Skills Assessment is a research project run by our team at The Maker Effect Foundation. We created this small foundation to support makers in our local community, and to conduct research and publish information that helps makers around the world reach their goals – including improving their careers. To create this maker-focused assessment, we’ve partnered with the Leadership Development Institute at Eckerd College, and are using their Entrepreneurial Dimensions Profile (EDP) assessment as the base for our maker research. The EDP assesses 14 dimensions across skills and personality traits. By taking the assessment, you receive a personalized report that can be used to compare yourself to indices for corporate managers and entrepreneurs. We’ve made this assessment FREE for makers (normally $45 for individuals) so that we can build a large, diverse sample. We need makers of all types, of all occupations, and from around the world – including you! We are conducting Google+ Hangouts to help makers understand their individual report and give them tools to start planning their future. We will also create aggregate group reports for hackerspaces, makerspaces or other maker groups – simply indicate your group name when you enroll. By mid-April we will have an aggregate index for makers that will let us talk about the strengths of the maker community, and help companies understand why makers are a valuable resource for innovation. We look forward to sharing this information with the maker community. 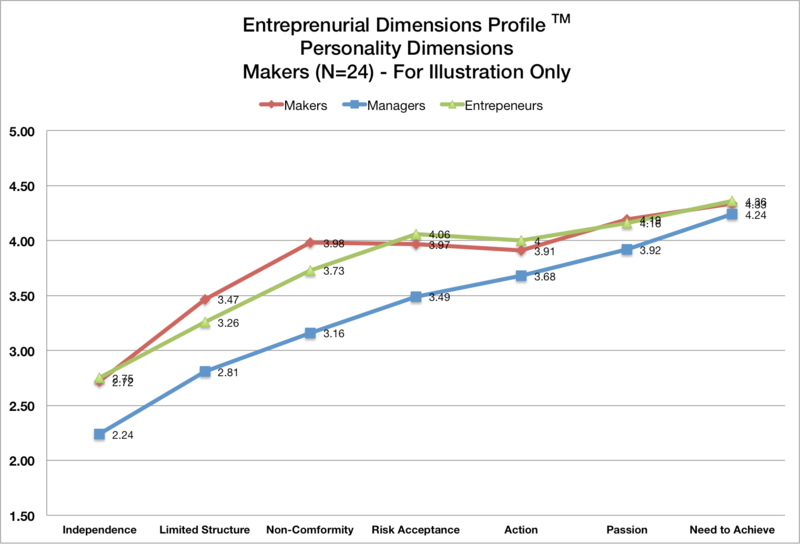 The chart below is a simulated example of one way that aggregate data will be mapped to compare populations of makers, corporate managers, and entrepreneurs.